In honour of the day of love, we’re drawing up tips on how to show your dog you care. They spoil you all year round with kisses, cuddles and unbridled loyalty – it’s your turn to return the favour with a day of pampering. 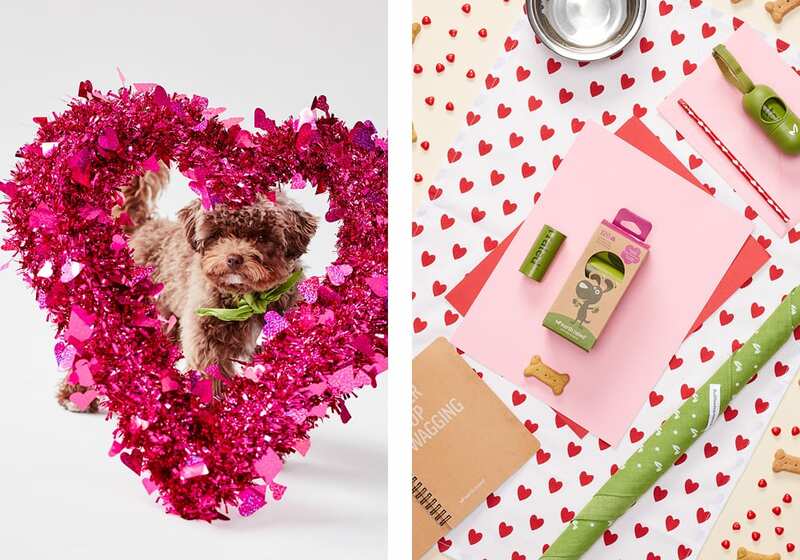 Here are four ways you can share Valentine’s Day with your dog. Spending time together is a great way to start the day. Go to the dog park for a run, take a stroll on the beach or plan a playdate. Whatever it is your dog likes to do, share that moment with them. Next stop, the pet supply store. Let your dog peruse the (lower) shelves and sniff out what sparks canine joy, whether that’s a new toy, dog bed, blanket or treats. And hey, why not stock up on the essentials while you’re there, like poop bags! How about some quiet time? Grab a dog-friendly snack and pop in a cute dog movie — The Secret Life of Pets, Hotel for Dogs and 101 Dalmatians are all great picks (no tear-jerker scenes, promise!). Give your dog a belly rub, massage his or her paws and simply enjoy the hour or so of each other’s company. Who are we kidding, you already do that.